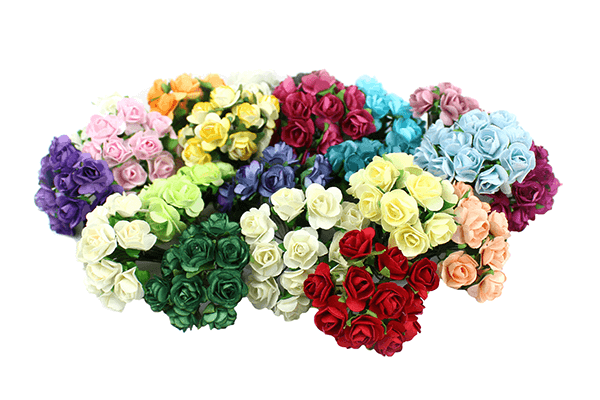 Here at Weddings & Flowercraft we stock a large range of Artificial Flowers. Be it Foam, Paper, or Silk, we strive to offer a multitude of choice. Our Foam category has the biggest flower range. With many different sized rose heads, including half and full pomander balls. A full range of colours so please feel free to browse our portfolio. Our largest range here at WFC. A Range Of Quality Flowers.